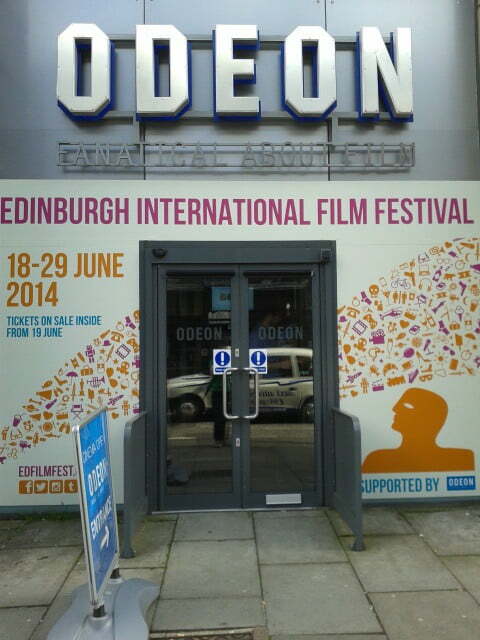 Our preceding blog post covers June’s main events in Edinburgh up until the 14th of the month. This instalment completes the programme for June and gives details of how to get involved in each event. This series of women-only 5k and 10k runs raises funds for Cancer Research UK. The 10k run begins at 10am, while the 5k one leaves at midday; however, participants are advised to arrive an hour before their scheduled start time to drop off their Donation Station bags, listen to the welcome speech, and warm up. Event details for both distances can be found here, and don’t miss the preparation information. Perhaps the most anticipated and high-profile event this month, the EIFF brings the best of new film talent under the spotlight. A number of well-known titles have premiered at the event in prior years, including Brave, The Hurt Locker, Ratatouille and Billy Elliot, to name but a few. Several ticket options are offered, including Concessions, Free Ticketed Events, and Multi-Buy Ticket Offers. You can book online (though not all events), over the telephone, or at one of the 3 box offices around the city (each open at different periods). Click this link for the full programme. The country’s biggest celebration of rural life is back for its 174th show. Livestock will be paraded along the showground over the 4-day event, while more exotic species, including eagles and vultures, will also be on display. You’ll have the opportunity to get up close and personal with the animals, including at the cattle shed and the MacRobert Theatre, which will stage a sheep-shearing competition. About 2500 horses from across the UK and Ireland will congregate at the show, some for Scotland’s greatest equestrian event: a show jumping competition in which riders vie for £45,000 in prize money. The Food Hall will host over a hundred suppliers and producers from across Great Britain as they exhibit their finest produce, while the popular cookery theatre is to return with a series of masterclasses by acclaimed chefs and restaurateurs. Provision is made for kids too, with the Children’s Discovery Centre imparting knowledge about farming and food, from milking a cow to making butter and much more besides. A variety of rural activities, sports and skills are to be encompassed within the Countryside area, including a mountain biking track, archaeology exhibitions, and demonstrations of willow weaving and bagpipe making, to name but a few. A full programme of entertainment incorporating ceilidh, country, and jazz will play out on stages throughout the showground, while the Red Hot Chili Peppers are to make their debut at the show this year. Displays in over 60 classes will be conducted in the Craft Pavilion, and visitors can also explore the many shopping arcades, which cater for everything from contemporary country fashions to gardening pursuits. Tickets can be purchased at the gate but a discounted rate is available online, so book now to save money and avoid the queues. Children aged 15 and under go free, as do the carers of disabled visitors. For more information, just click here. Returning for its second year, this tournament will bring world-famous tennis players to Edinburgh for a 4-day competition. It constitutes part of the ATP Champions Tour, a men’s tennis tour for former professionals who have retired from professional tennis touring. This year’s confirmed roster of prolific players comprises John McEnroe, Mark Philippoussis, Wayne Ferreira, Fabrice Santoro, Tim Henman, Goran Ivanisevic, Henri Leconte, Thomas Enqvist and Mansour Bahrami. The ‘Kids go free’ scheme, applied on 19th June, will see a free child ticket issued along with every adult ticket purchased. A similar ‘Ladies’ Day’ scheme will be in effect the following afternoon, whereby a half-price adult ticket is available for every adult ticket purchased. On the 22nd, a ‘Rally for Bally’ event will be held in memory of Former British Number One Elena Baltacha, who grew up in Scotland but passed away from cancer at the age of 30. All proceeds will go to the Royal Marsden Cancer Charity and The Elena Baltacha Academy of Tennis. Hosted at the beautiful Edinburgh Quay on Fountainbridge, the community-run, not-for-profit Canal Festival promises a full day of activities including raft racing, free boat trips, music and dance performances, stalls, and kids’ activities such as face painting and bouncy castles. Catering will also be available onsite. The raft race will involve 24 teams competing in crafts of their own making, but recognition for more than coming in first is up for grabs; other prizes include Daftest Raft, Most Recyclable Craft and Fanciest Float. Those who’d like to set up a stall or volunteer in any capacity (including performing on the day) can find contact details here, while prospective racers should consult the rules and follow the entry process outlined here. This festival, which uses its shows to promote magic as an art form, is the only one in the UK exclusively dedicated to performances for the general public. Tickets can be booked online, in person, and over the telephone, and concessionary rates for minors, senior citizens, disabled citizens and groups are available. For more information, please see here. This show brings together skilled circus artists from around the world, who perform using hula hoops, high wires, flying cloud swings, aerial straps, and fire. Expect awe-inspiring feats of strength, balance, and skill. Held at the Ocean Terminal, the first show will begin at 8pm on the opening night, after which weekend times will be 2pm, 5pm and 8pm on Saturdays, and 2pm and 5pm on Sundays. Weekday show times are at 3pm and 8pm. Tickets begin at £10 (£7 concession) for adults in the restricted circle, up to £26 (£21 concession) for tickets in the ringside – see Ticketmaster, who offer a 10% discount for booking online (delivery fee applies), while informedEdinburgh currently have a 2-for-1 special offer on adult tickets. This concludes the round-up for the main events in June. Stay tuned for overviews of subsequent months, and keep an eye on our social media for more details on individual events.